Keep business as usual at Hanna Elementary. The professionals see no reason for closing the building at this point in time. The district plans to follow this recommendation. Add flexibility to the natural gas line serving the school. Although the engineers are not highly concerned about potential gas line issues, they recommended flexibility be added to the line as a precaution. This work will take place during the next few weeks. If the need for shutting off the gas takes place on a school day, students might be relocated to HEM for a short period of time. As plans related to this evolve, parents will be notified. Continue to monitor the school and investigate potential issues. Engineers will install a monitoring system within and around the school property to identify potential settling. Drilling will take place around the school property so that data can be collected then used to determine a plan for moving forward. The drilling is expected to start April 22 and end on May 17. During this time, parking around the elementary, the library, and football field will be temporarily relocated. Again, as plans evolve, parents will be notified. 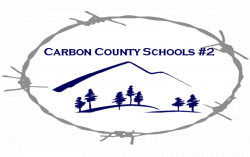 Please keep in mind the safety of HES students and staff is the ultimate priority of CCSD #2. Questions or concerns can be directed to Traci Schneider, HES Principal or Dr. Jim Copeland, CCSD # 2 Superintendent. Updates will be posted here and parents informed as information is received by the district. Kindergarten students prepare Homecoming 2018 hall decorations. Art has been a welcome addition to our program this year. Students practicing mindfulness to get ready for a productive afternoon. Hanna Elementary School (HES) is a K-6 public education institution located in Hanna, Wyoming. 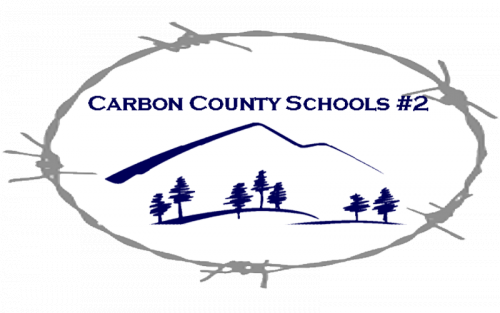 HES is part of Carbon County School District #2, and has a total enrollment of 75 students. As the supply of coal in the now ghost town of Carbon began to play out The Union Pacific Coal Company looked to the north and found an excellent seam. This was the beginning of the town of Hanna. As the town was being built in 1889, workmen and miners lived in tents. One of the first permanent buildings erected was this two-roomed schoolhouse. As a matter of fact, the school stood empty that first year as Hanna had no children. Gradually both rooms filled and additions were added until there were four rooms and two halls. Each room had a potbellied stove and a water bucket, with one dipper shared by all the class. The school population continued to grow and the primary grades were moved to the First Aid Hall, now the Hanna Basin Museum. During these years, students attended school for eight years and then graduated in an impressive ceremony. By 1917, the school board realized that a high school was needed and a new building necessary. Opening in September of 1918, the “Stone School” accommodated the lower grades on the ground floor and the new high school in a small assembly room and three classrooms on the second floor. The first senior class of 1920 chose the school colors of orange and blue. Various buildings have occupied what is now the elementary site. The present gymnasium/auditorium dates from 1946. The classrooms and the library of today were constructed in 1950, when elementary and high school students moved in to share “the new school.” After the closing of the mines in 1954, this building seemed ample for years to come, but the coal boom beginning in the late 1970s brought a new, younger population to Hanna. In 1980 the high school, today H-E-M Junior / Senior High, opened south of town. The historic elementary school, remodeled and modernized, remained at the original mid-town site.